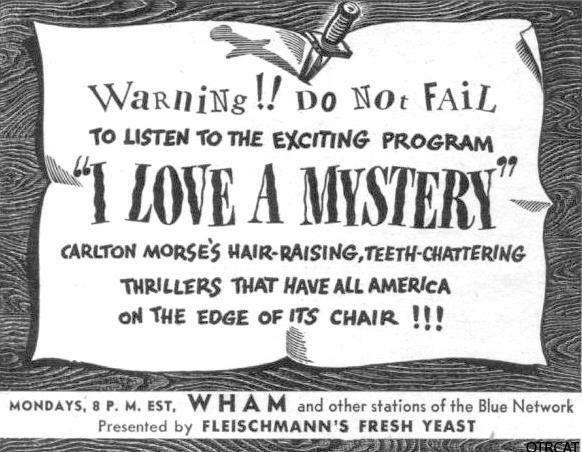 January 16: Debut of "I Love a Mystery"
On this date in OTR: "I Love a Mystery" debuted Jan. 16, 1939, on NBC's West Coast network. It moved to the full network in October of that year. Carleton E. Morse's stories focused on the adventures of three detectives in the Hollywood A-1 Detective Agency. The program ended Dec. 26, 1952. 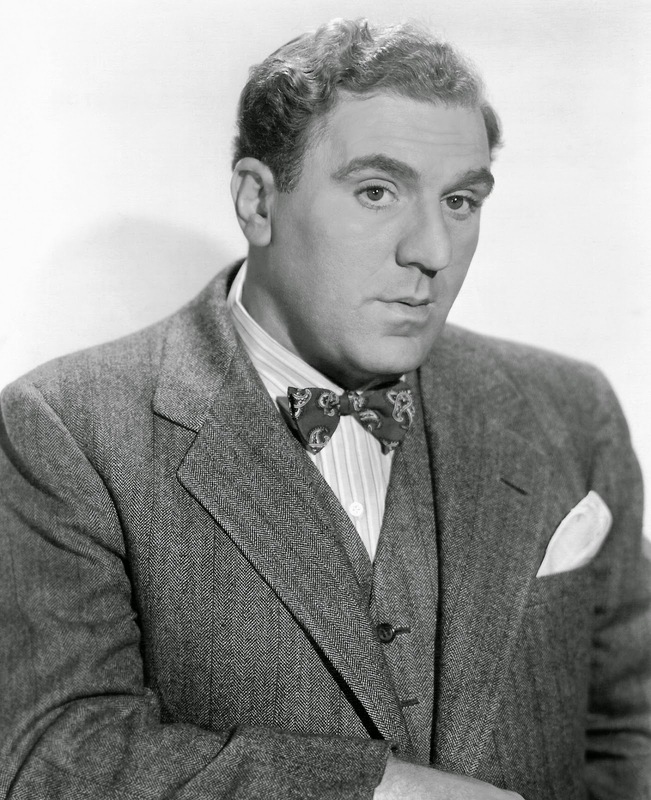 On this day in 1906, William Bendix was born. On this day in 1919, Amzie Strickland was born. 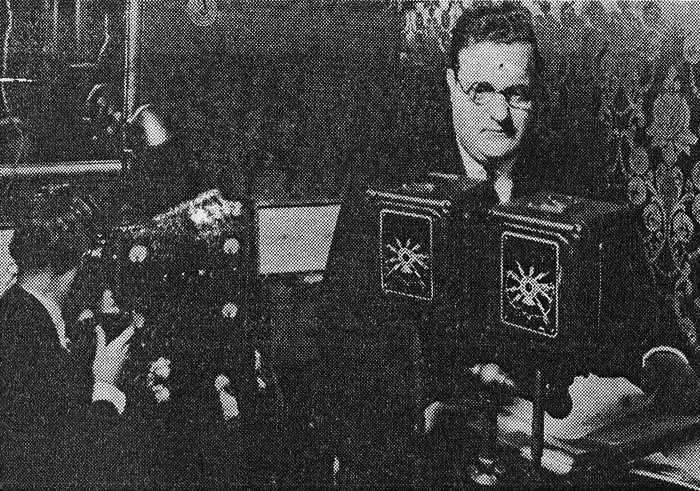 January 7, 1941: The first installment of the Inner Sanctum was presented by the NBC Blue network. In its 11 years of featuring suspense, horror, and mystery stories on the air, Inner Sanctum produced a total of 526 episodes. Raymond Johnson, the program’s first host, always opened the program with his popular self-introductory line: “Your host, Raymond.” Through the years, the line was continually used, though with some revisions, by the succeeding hosts. Featuring Lon Chaney Jr. in a starring role, Universal Studios produced six movie series based on the popular radio program, Inner Sanctum. 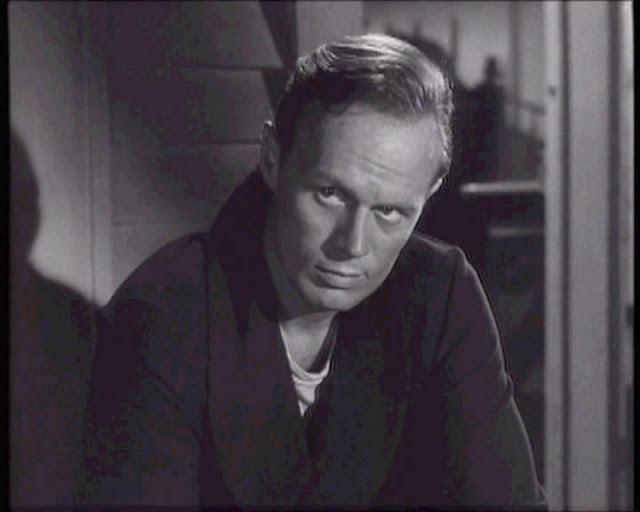 January 6, 1941: Richard Widmark, a young actor, made his radio debut on a new program on CBS titled The Home of the Brave. The Home of the Brave, a serial drama of the Golden Age of Radio, was about a soldier of fortune struggling to maintain an American standard of living among the turmoil the world was facing. This program starred the late Richard Widmark, an award-winning actor whose career began in radio. 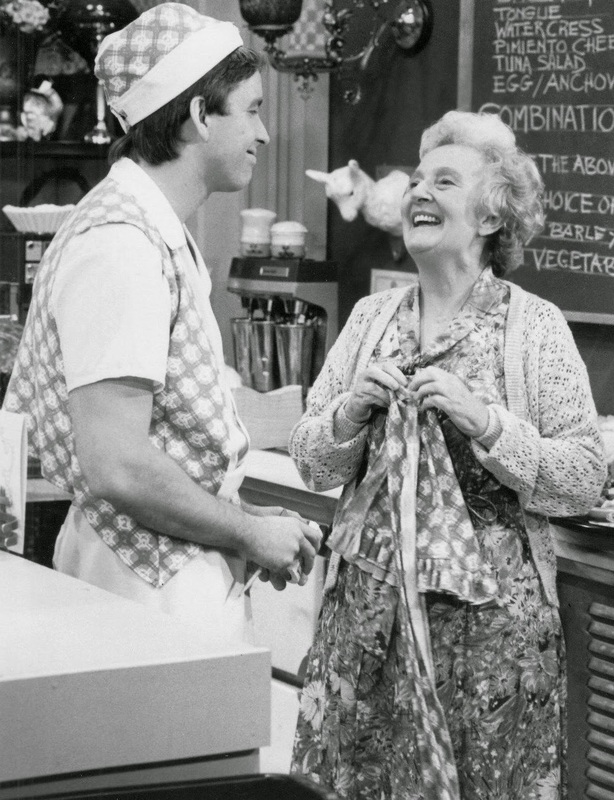 Along with Vincent Donehue, the two played the role of Neil Davison. January 1, 1925: The first broadcast of Lucrezia Bore and John McCormack at the famous Metropolitan Opera in New York, was aired on this day by WEAF. The program helped to inspire other singers to perform on the radio. The performance of John McCormack, a tenor, and Lucrezia Bori, a prima donna of the Metropolitan Opera Company, broadcast on WEAF, was one of the most important events in radio broadcast history. This was the first time internationally famous artists were broadcast in the US. The New York Times reported that New York theaters complained of losses of revenue due to many opera fans' affinity for listening to the opera on their home radio, but that did not apply to the Metropolitan Opera House. The tickets for Miss Bori's show were sold out.